MILAN -- Fiat S.p.A., the automaker that controls Chrysler, ended Paolo Mazzali's American dream. The car dealer near Milan spent the last 10 years selling customers "American lifestyle" as embodied in Chrysler cars and minivans. Now, he'll need to convince them to buy Italian after Fiat's decision to convert Chrysler dealers to Lancia. "We used to sell an emotional American brand, as American as a Harley Davidson motorcycle," said Mazzali, whose company owns three Chrysler showrooms. "It's like giving up a piece of your heart to pitch something new." Sergio Marchionne, CEO of Fiat and Chrysler, ceased sales of the U.S. brand in continental Europe Tuesday after four decades. The combination of Chrysler and Lancia is part of his plan to end losses in Europe and cut costs by 1.5 billion euros ($2.2 billion) by 2014. Under Fiat, Chrysler's sales slumped to about a quarter of their total with Daimler AG. "We couldn't maintain the two brands everywhere so we had to decide," Olivier Francois, the Fiat executive who heads the Lancia and Chrysler brands, said in an interview "Lancia has a higher awareness in Europe, while for the U.S. and the rest of the world, Chrysler is a more global brand." The automaker will consolidate Chrysler Group's results starting this month, a sign of the rapid integration of the two carmakers since the U.S.-based manufacturer exited bankruptcy in June 2009. Fiat, which was initially granted a 20 percent stake by the U.S. government, aims to acquire 57 percent of the third-biggest U.S. automaker by the end of 2011. 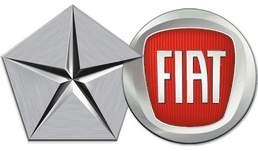 Europe is a weak link for Fiat, where it struggles to compete with Volkswagen AG and PSA/Peugeot-Citroen SA. The company, which doesn't breakdown results by region, lost about 1 billion euros last year on its home continent, according to Max Warburton, a London-based analyst at Sanford C. Bernstein. "Fiat is unlikely to ever make Europe profitable," said Warburton. "There's little new product. In the next two years, market share will likely slide further." Fiat's deliveries in Europe fell 17 percent in the first fourth months of 2011, while industry-wide sales slipped 2.4 percent and VW rose 5.3 percent. General Motors Co., which is expanding the Chevrolet brand in Europe, increased sales 2.1 percent in the January-April period. Marchionne acknowledges that European operations suffered as he focused on the U.S.
Fiat will continue to sell Jeep models in Europe alongside Lancia. Marchionne aims to expand Chrysler's Jeep and Fiat's Alfa Romeo into global upscale brands as he forges an auto-making group to compete with GM and VW. Lancia will be a local European brand bolstered by Chrysler vehicles. Chrysler failed to win over European customers, unlike GM and Ford Motor Co., which both outsell Fiat in the region. The U.S. carmaker bought a stake in France's Simca in 1958 and then sold its European operations to Peugeot in 1978. Under Daimler, the brand renewed its effort in Europe, with sales peaking at about 120,000 cars in 2007. Last year, Chrysler's European deliveries slumped 27 percent to 36,900 vehicles, including Dodge and Jeep models. In the U.S., the group's sales rose 17 percent to 1.09 million. Lancia's takeover of Chrysler's distribution network will boost the Italian brand's locations by 40 percent to 650 dealers. Chrysler will also provide more than sales outlets. The 300 sedan will be sold as the Lancia Thema starting in the fourth quarter, and other Chrysler models will be re-badged to give Lancia a broader lineup, including a version of the Grand Voyager minivan. The 200 may be renamed as the Flavia. The goal is to more than double Lancia's sales to about 250,000 cars by 2014 from 99,400 last year. Overall, Marchionne aims to boost Fiat-Chrysler's combined sales to 104 billion euros by 2014 from about 66 billion euros last year. The combination with Chrysler is critical for Lancia, which is too small to survive on its own, Marchionne has said. "It's going to be very difficult for Lancia to double sales as competition is very heavy," said Massimiliano Romano, head of research at brokerage Concentric Italy in Milan. "Marchionne is moving in the right direction. Margins are tiny, so you need to optimize resources." Lancia was founded in Turin in 1906 by Vincenzo Lancia, a Fiat race car driver. It has moved between luxury and mass market over the years. In the 1950s and 1960s, Lancia went head-to-head against Jaguar and Maserati with luxurious coupes such as the Flamina and Flavia. After being acquired by Fiat in 1969, its models veered between race-bred sedans such as the Delta and big-box sedans such as the Thema. In the 1990s, the brand dipped down market, with the compact Y. Part of Lancia's makeover is the revamped Ypsilon compact, which will become a five-door hatchback in a bid to widen its appeal compared with the previous three-door-only version. The model, the brand's best seller, is one of only three current Lancia products and marks a rare new offering. Fiat postponed the introduction of new models until the second half of 2011 in hopes of a recovery in European car demand. That tactic led to a loss of market share to 7.2 percent from 8.4 percent. Fiat plans to introduce five new cars this year, compared with nine in 2012 and 11 in 2013. The Poland-built Ypsilon began sales Tuesday at a starting price of 12,400 euros. The target is to sell 120,000 Ypsilons a year, Francois said in a May 25 interview. For Chrysler, the cooperation with Lancia isn't just a one-way street. The brand will still exist in the U.K. and Ireland and will sell a version of Lancia's sporty Delta hatchback as well as the Ypsilon. Chrysler may also sell Ypsilons in Japan, South Korea, South Africa and Australia, the company said. Even as it re-badges Chrysler and Lancia products, Fiat tries to account for regional sensibilities, such as Italian leather made by Poltrona Frau S.p.A. in the Lancia version of the Chrysler 300. It's also bridging cultures with ads featuring Elisabetta Canalis, the Italian girlfriend of George Clooney, with the tagline, "Italian character meets American glamor." For auto dealer Mazzali, he's spent more than 2 million euros to prepare his shops for Lancia. "We're ready for the change," he said.